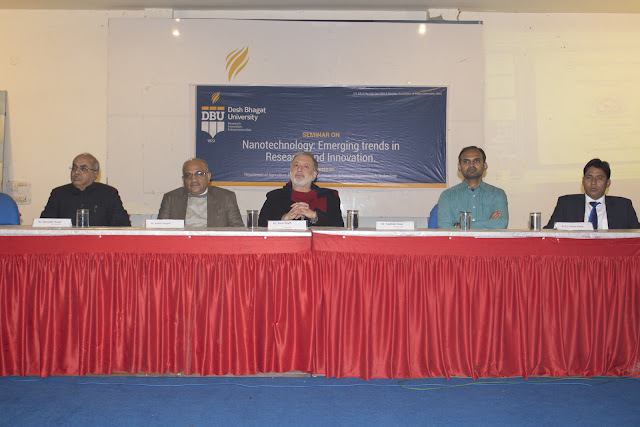 Desh Bhagat University Department of Agriculture & Life Sciences and Faculty of Engineering orgainsed a one day seminar on ‘Nanotechnology: Emerging Trends in Research and Innovation’. The event was arranged under the supervision of Pro Vice-Chancellor & Dean Research, Dr. Neelima Jerath. Speaking on the occasion Dr. Jerath said that we are using Nano technology in all our hi-tech gadgets like smart watches, smart mobiles, washing machines, electronic instruments etc. and now it’s a part of our routine life. With the help of Nano Technology we are getting knowledge of that area which was so far unexplored and tough sometime, she added. 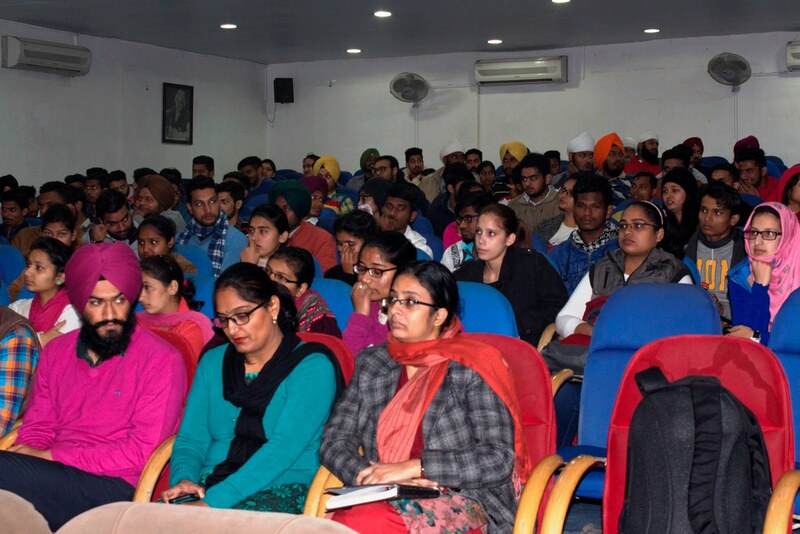 Dr. Ashok Kumar Ganguli, (Director, Institute of Nano Science and Technology, Mohali) was the Chief Guest, who inaugurated the event and also presented his views and on Nano Science and Nano Technology. He exhorted the students to get maximum practical knowledge in this field and invent something new that may be very helpful for the society. He also talked about continuous research work being done by the students and scholars at INST. Dr. P. K. Vijaya Kumar- (Assistant Professor, Institute of Nano Science and Technology , Mohali) shared his views about design of controlled and targeted agriculture pesticide delivery nano carrier with copper graphene oxide components. He said that latest techniques with use of nano technology have eased in each and every sector like agriculture, aviation, medical, education and industry. In second session of the day Dr. Mintu Tyaagi (Assistant Professor, Applied Sciences, DBU) talked about ongoing research in DBU on Nano Technology and its importance. He also read brief report of different projects being under taken by the university. Chancellor Dr. Zora Singh appreciated the initiative taken by research cell of DBU. He said that area of technology is very vast and nano technology is proving very useful in our day to day life During the seminar, lectures were delivered by experts. PPT, Oral and Poster presentations were made by research scholars, teachers and experts from different departments of Engineering. During the discussion session, participants presented their views on different topics and shared their ideas.Vice Chancellor Dr. Virinder Singh said that such events add to the knowledge of the students and enhance their self-confidence. At the end of the programme Pro Chancellor Dr. Tajinder Kaur thanked all the guests and participants. Director Dr. Surjeet Patheja, Dr. H. K. Sidhu, Dr. Pooja Gulati, Teaching, Non-Teaching staff and HoD of different faculties were also present on this occasion.